This stage was a lot of fun to work on. I learned a lot of new techniques for 3D modeling, UV mapping and particle effects to get this stage done right. 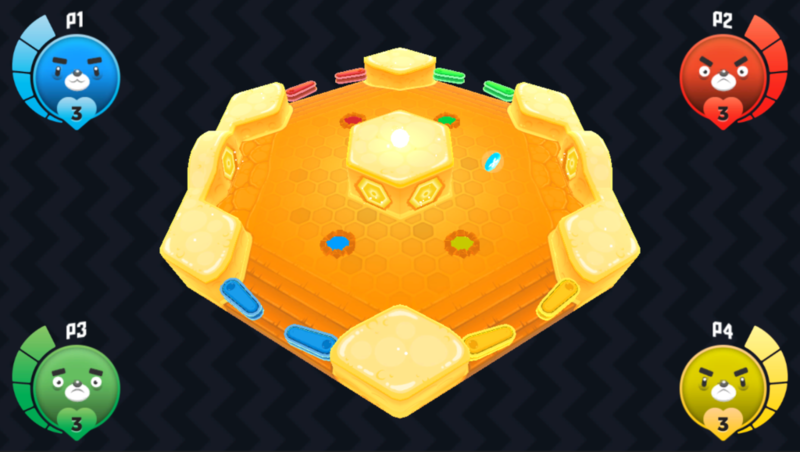 It’s a 6-sided map, rather than a circle, setting it apart visually from the other stages and making the 4-player stage laid out a little differently than usual. 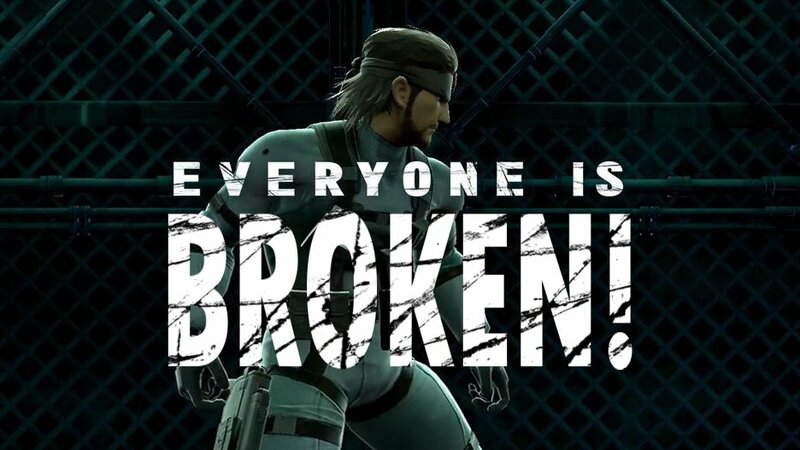 It is kind of impossible for 2 players positioned next to each other to actually shoot the ball at each other with flippers, but they can use their characters and the stage’s portal system to score on each other still. The portals (seen below) can transport the ball to any other portal, maintaining the same velocity, but granting players a 1-second delay to react. This stage features the most intricate geometry we will probably see featured in any Pinbrawl stage. Hexagons were surprisingly weird to work with in Blender. Additionally, the holes for the portals were carved into the stage, which took some strategizing. The texturing was a challenge, too. The hill stage and ship stage shared a lot of similarities in texture work, but I had to stretch the visual language of the game out a bit further to accommodate such a specific locale. Pretty happy with the results though, and the portal animations add some nice visual flair. Additionally, we are beginning to work on new characters for the game, although a pipeline will have to be established for modeling, rigging and implementing them. 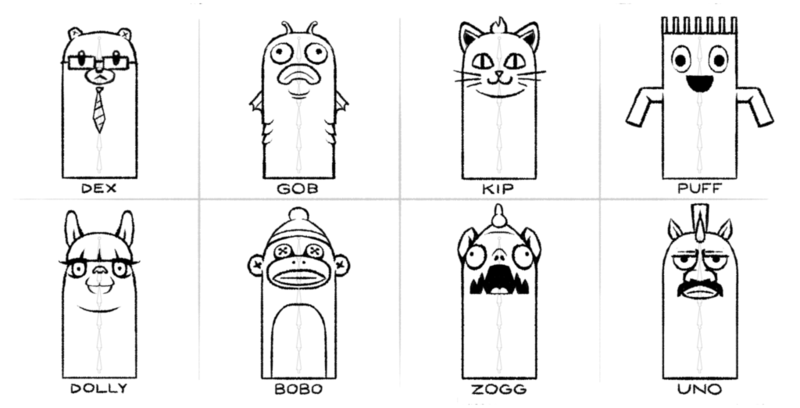 I’ve drawn up some concepts, but have only finished the artwork for the sock monkey, Bobo. Can’t wait to give Pinbrawl some new faces!